The Internet has become central to our daily lives, either for work or for play, but not everyone can afford to buy data at high rates and as a Smartphone user, there is a particular plan that suits you. 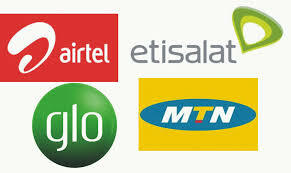 So today I compiled lists of the cheapest data plans (GLO, ETISALAT, AIRTEL and MTN) available in this month of April. To get Glo N1,000 for 1.5GB: Dial *777# and follow the prompt. i.e Dial *777#, Select 1(Data services), select 1(Buy Data), select 2 (Monthly plan) and select 1 to buy N1,000 for 1.5GB (30days). No additional settings required and it works on all devices. To get Etisalat N1,000 for 1GB: Dial *229*2*7#. You can also get 2GB data for N2000 by dialing *229*2*8#. No settings required, works on all devices and valid for 30 days. For Airtel lovers with good network connection, you can get Airtel N1,500 for 3GB. Dial *440*16#. It works on all devices. This plan is unlimited at night; no speed throttling and it download as you want. => For 6hour plan, dial *481*3# and it cost N500. MTN daily unlimited plan: To get this plan, load your MTN line with N150 and dial *567*59#. It works on all smartphones and PC, but it selects sim so check if your sim is eligible before subscribing by dialling the code above. The current best alternative to MTN BIS on Android is MTN Music Plus. You can use it on PC, iOS and Android devices. You can see more guides on how to activate and use the MTN Music Plus for N15 here. If you got any say, please do let me know via comment box section. Please don’t forget to share this information with your family and friends.